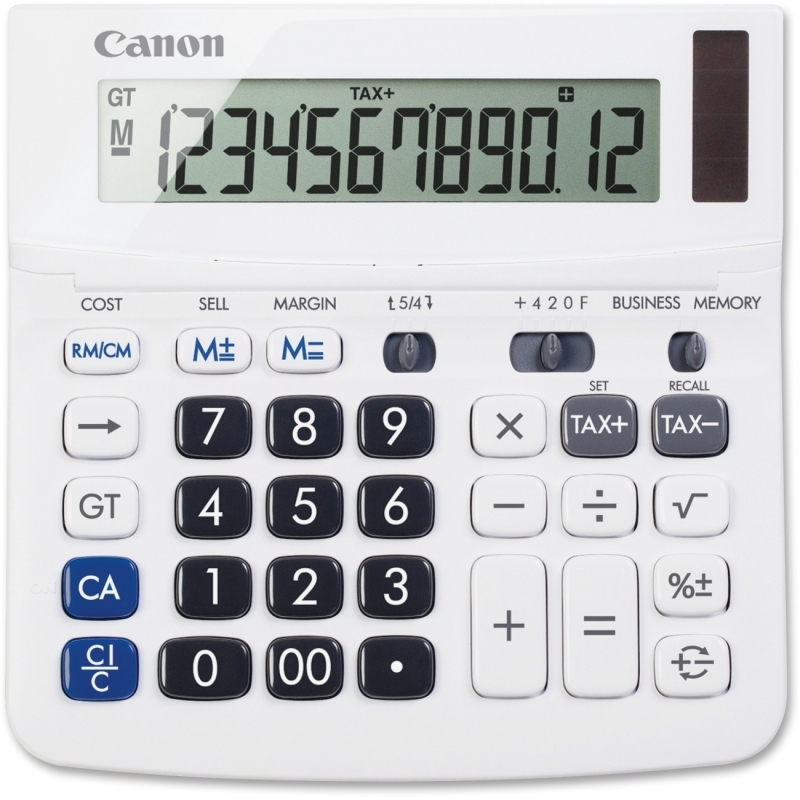 From the very first tap on the soft-touch keys, you instantly feel the ergonomic design that is built into the CP1213DIII Commercial Desktop Printing Calculator. 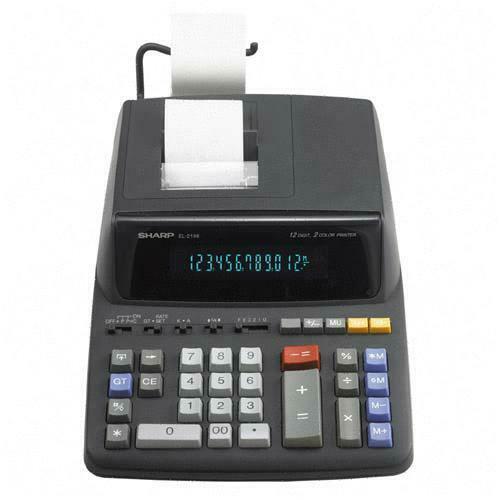 Versatile features perform almost any type of business or financial calculation. 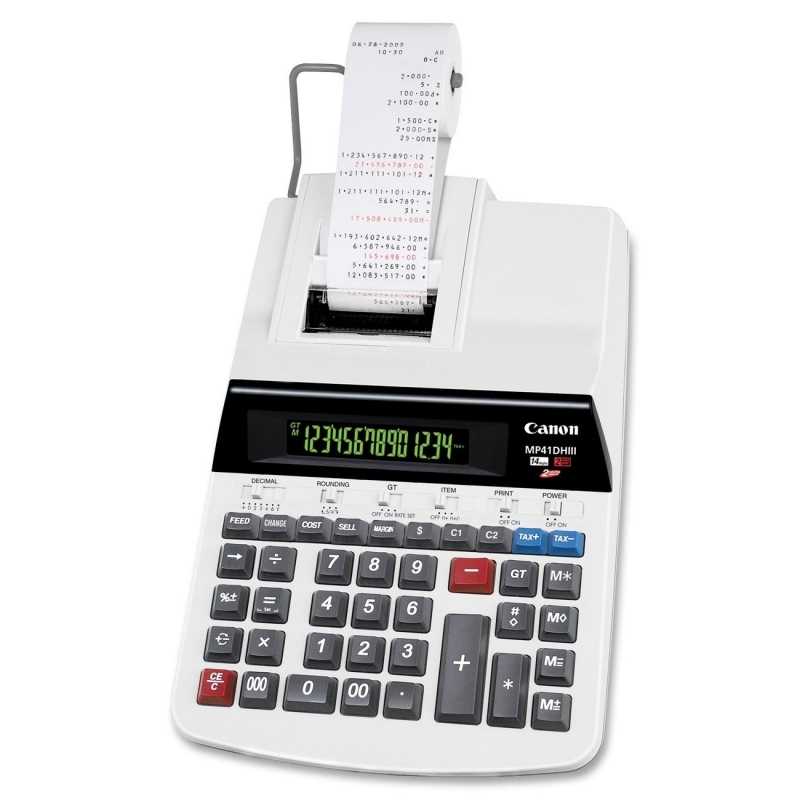 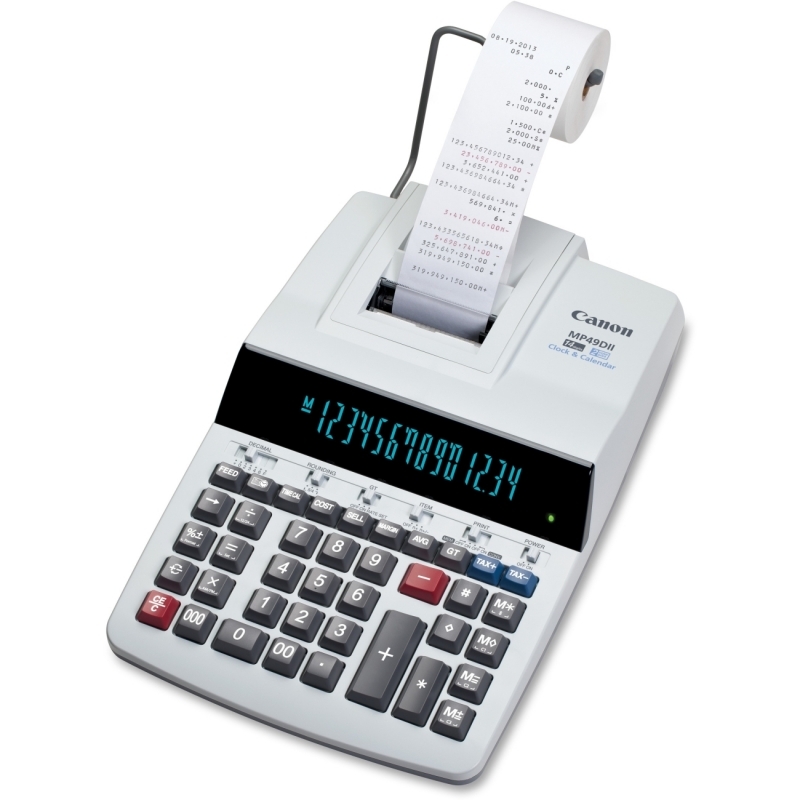 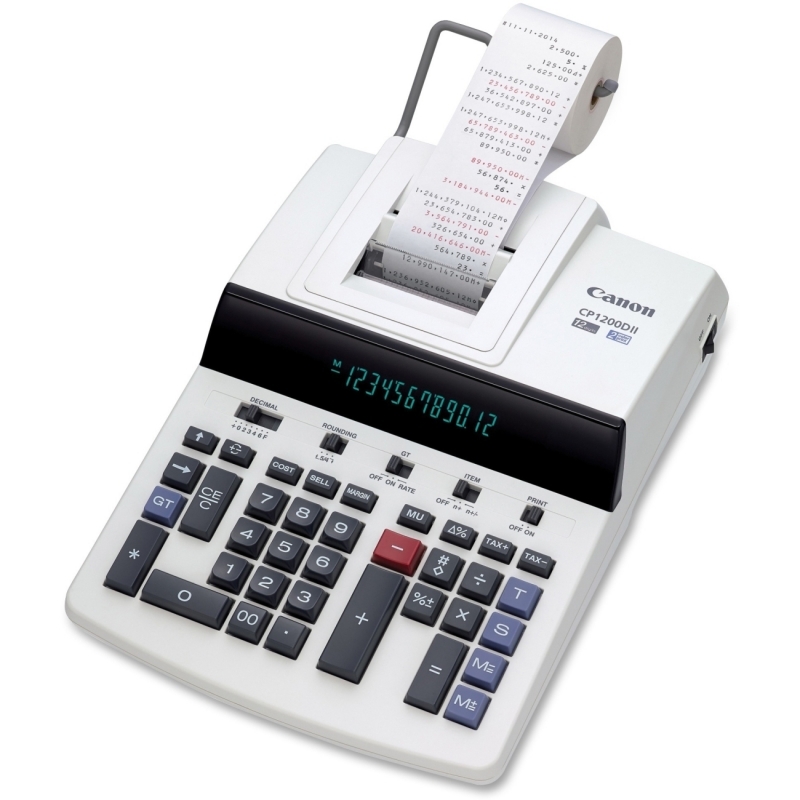 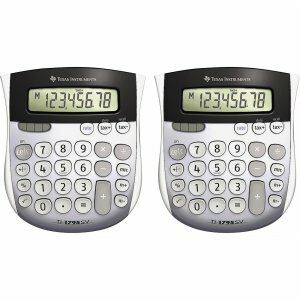 12-digit printing calculator also includes a 17mm fluorescent display and two-color ribbon printing. 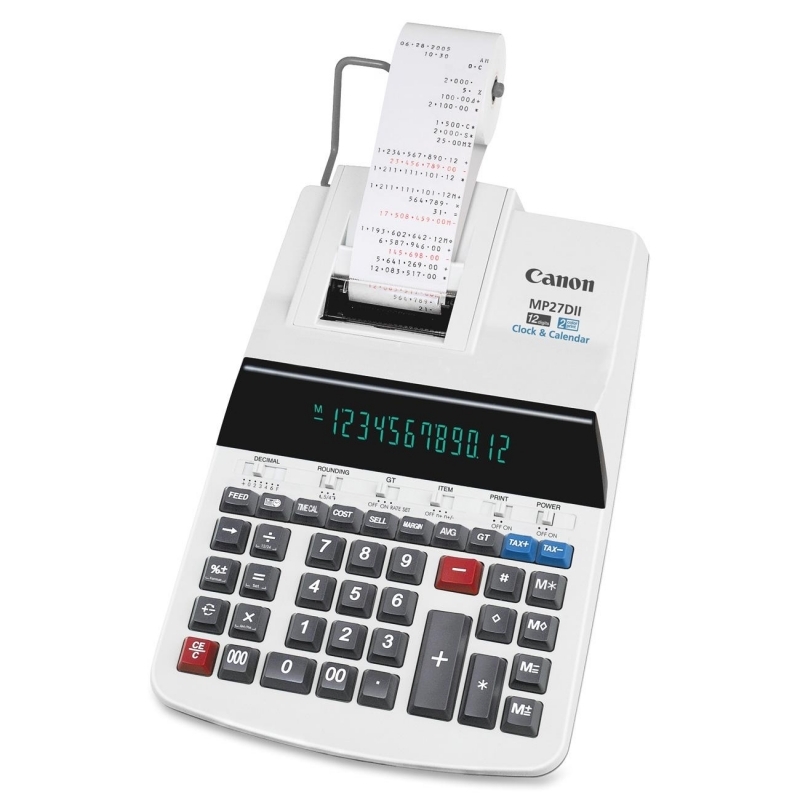 Print 4.8 lines per second. 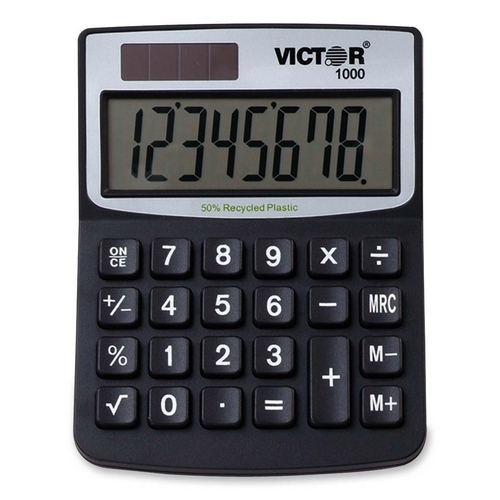 Positive numbers are printed in black, and negative numbers are printed in red. 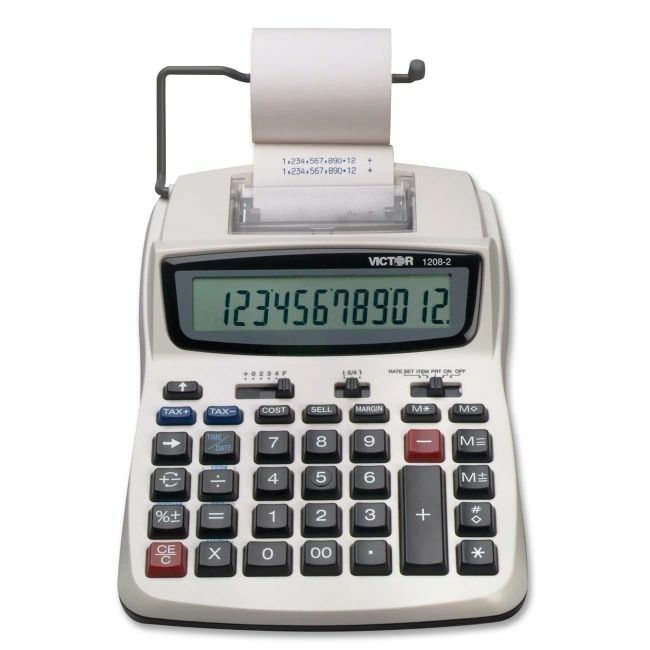 Functions include memory storage, independent memory with accumulation function, constant multiplication and division, averaging and pairing calculation, delta percentage calculation, up/off/down rounding, item count, markup, and markdown. 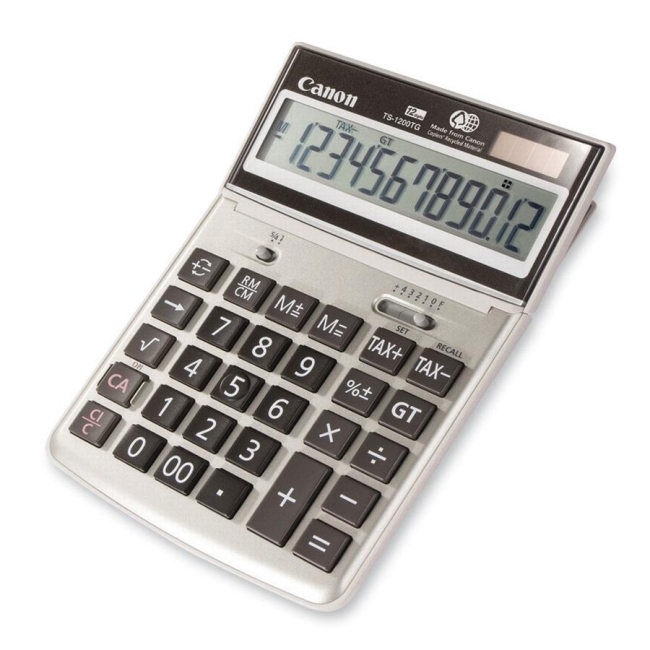 Decimal positions are in add mode, 0, 2, 3, 4, 6, +1, +2 and floating. 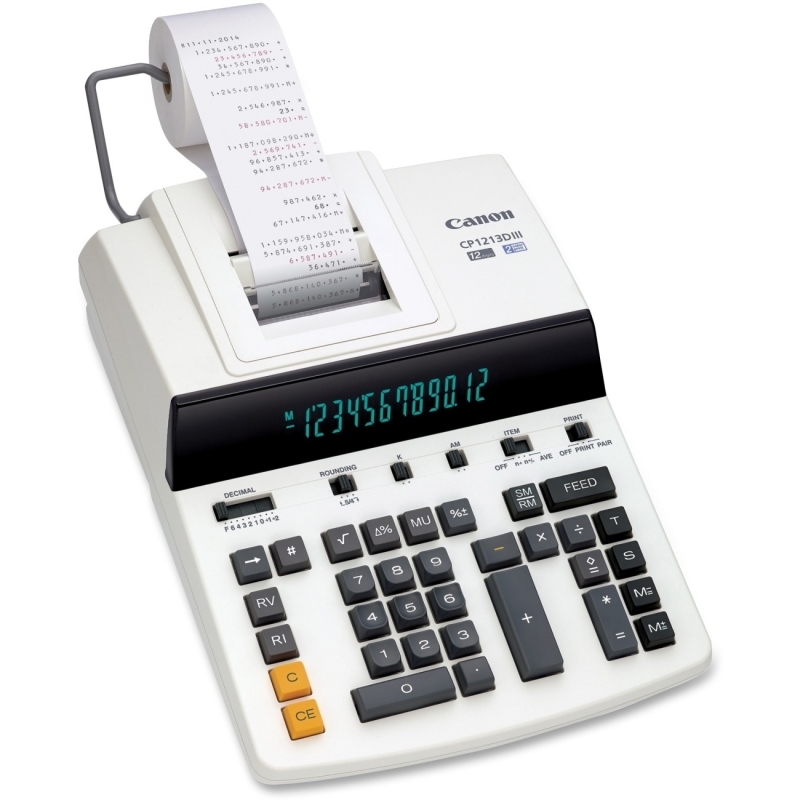 Calculator runs on AC power.